This research explored studied the gas chromatography mass spectrometry (GC-MS) analysis of the volatile organic compounds for normal hexane extract of Sterculia setiger seeds. The oil was extracted by cold extraction method, . the The phytochemical screening was tested for extracted oil . 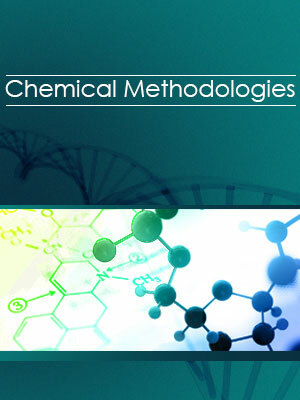 (GC-MS) analysis was carried out according to the standard analytical methods for crude oils. A total of 46 compounds were reported for normal hexane extract ,extract, besides there are some new compounds that have not been previously reported. 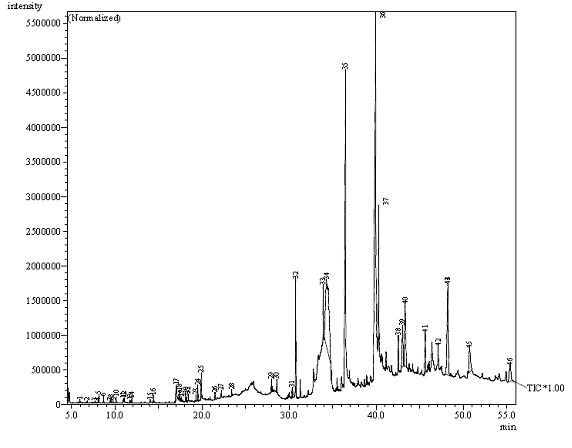 All secondary metabolized compounds hashave been reported in the normal hexane extract except the phenolic compounds. The most abundant compounds in normal hexane extract are Pentadecanoic pentadecanoic acid, 1-(1,1-dimethylethyl)-2-methoxy- 4- methy-3,5 - dinitrobenzene, 3-cyano-2-oxa -1- ethoxy adamanane and Methyl pentcosanoate. 1) Cooper R. Natural Product Chemistry (1th ed). New Yourk : CRC Press. 4)Dolphin D. The Porphyrins, 1978–79, Vols 1–7, Academic Press, New York. 6) Forest L. Sterculia setigera Delile(1th ed ). 2007, Kongevej : Melanamia. 8) Dolphin D. B12,1982, Vols 1–2, Wiley, New York.